There is no denial in accepting the fact that content is the highest flammable fuel to your digital marketing & as with most of the dangerous fuels, how you use it matters the most. Use it in abundance you’ll burn the ingredients & use it in scarcity, well you can’t ignite any sparks at all. As content marketing is growing fast, your content must be original and unique to cut the proliferation in a digital landscape. To arrive maximum results with your content marketing you need to know that how to create a compelling content for your website. Every unique content goes a long run with your visitors and Google as well. Well-written and well-organized content will spark some ideas for readers. No wonder, compelling content have it’s own perks in persuades readers leads to better conversion rates, more sales, and more shares. Creating a compelling content is not a mystery, here’re some few tips on how to write one. Start developing your ideas before it’s time to write. Research similar posts & make notes. Perform target keyword search beforehand. 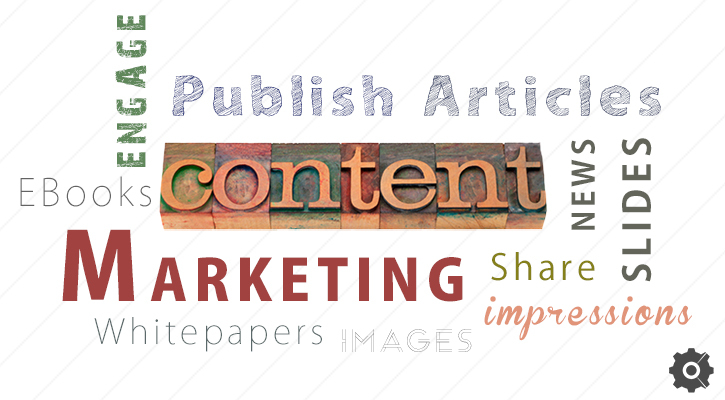 Content must have a proper title, grammar, and organization. The title is the most important word on your web post as it compels people to read or not. Make your topic clear that will interest readers. Understand your readers. If you know about your readers you can write for them. Make sure you write content for your audience, not for yourself and not for your company or brand. Write content that is understandable by your audience by using language what your audience understand. Communicate more by adding pictures or images and videos. To grab skimmer’s attention consistency should be there in your article. To be able to create content that inspire the readers to take action every time. Take a look at your article that readers actually want to read. The best content shows how to do or how to apply information. It does not degrade or misguide users by telling them what to do. Be able to deliver answers to your readers. Give useful examples. The information you mentioned must provide useful tips to the users guided through the step-by-step process. Add data into your content to increase the visual appeal of your web content. Highly relevant visual aspects like conceptual diagrams, screenshots or videos, photographs to demonstrate your points and graphs etc., get more views on your blog or website. Don’t choose random images not related to the post. Replace paragraphs by bullet points. Use different font sizes for appealing typography. Change texts into photographs or videos. Make content to be scannable, your content must be posted correctly with clear headings. So, users can quickly scan the content to find details what they want to read. To make content as interactive as possible that readers can engage with performing some actions like clicking, typing etc. It forces the readers to pay attention. Instead of posting more and more content on every single day publish only best content that contains a valuable message. Compelling content engages readers on every level, it should create an urge to read more & more. Every post with your name on your blog should be original. Carefully crafted content not only boost your web traffic but also help’s you to gain higher index ranking on search engines. If you devote your time to write original and high-quality content, search engines will definitely open the path of enlightenment to your blogs for your readers, eventually, help you to attain maximum peace with your writings.